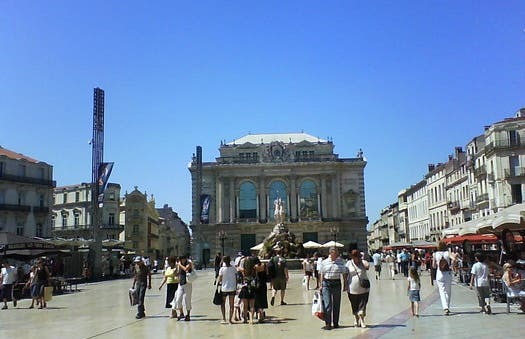 The Place de la Comédie is the main square in Montpellier. Here is the Opera and the fountain of the 3 Graces. You get to the Esplanada Charles de Gaulle and the Corum. The shopping centre at the end of the square is the liveliest in town.